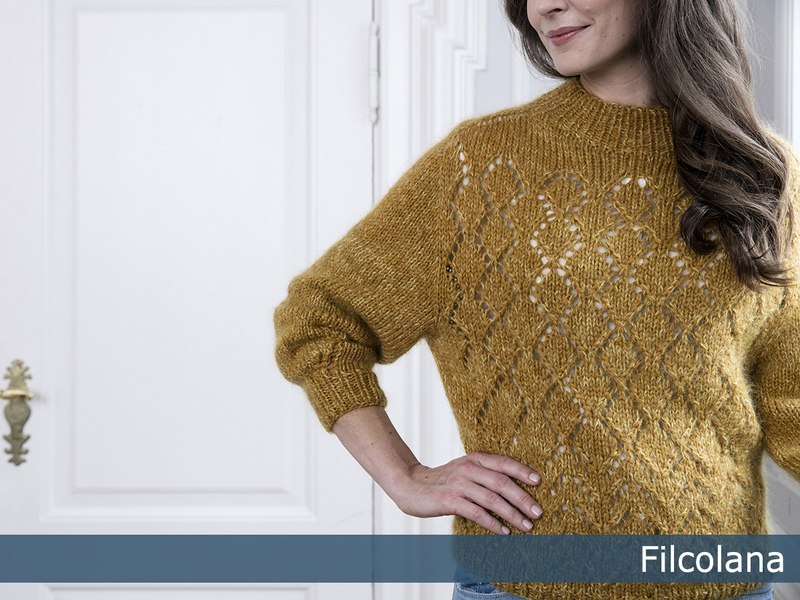 The designer Ditte Lerche drew inspiration for the rhombus pattern of this sweater from the look of the lovely traditional timber framed houses in the old town of Skagen. 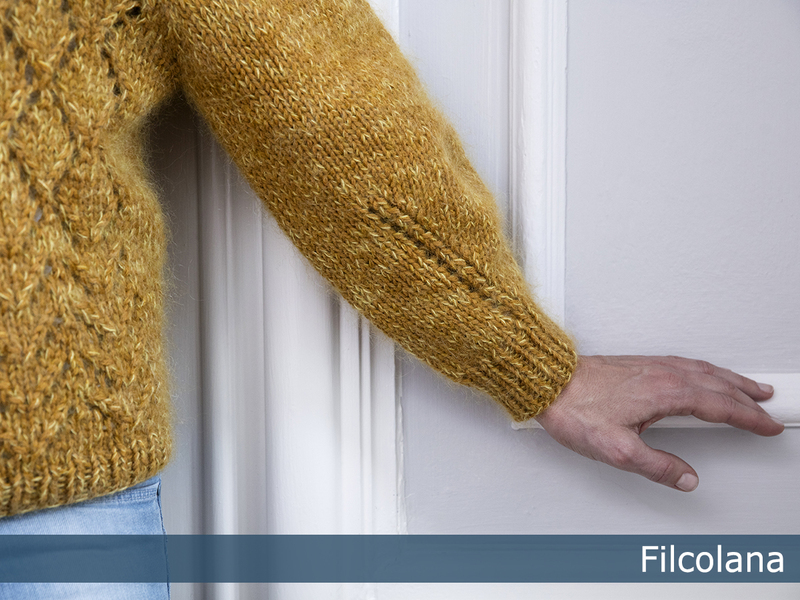 ”Ella” is part of Filcolana’s ”Colours of the Scandinavian Summer” collection. For this collection our team of designers have found inspiration in the incredible Scandinavian light and olours in the works of the Skagen Painters.